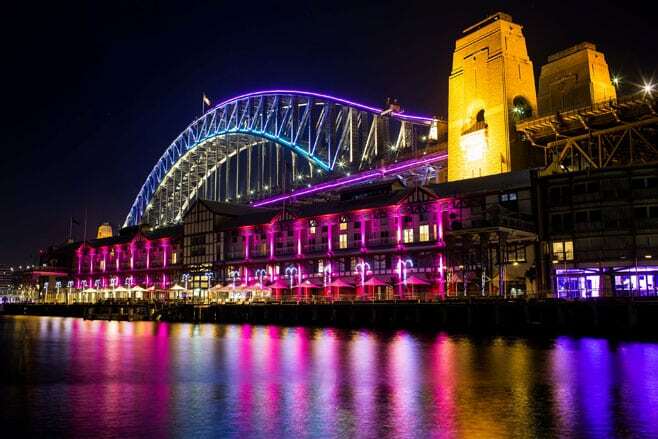 The VIVID light show is run by Destination NSW and NSW Tourism and has become a wonderful platform to showcase our beautiful city and give both tourists and Sydney Siders alike a chance to see the city’s history, culture and art in a whole new light. Our dinner cruise runs Monday to Sunday evenings and includes a delicious buffet meal, generous sized dancefloor and live DJ. There is also a bar on board where you can buy beers, a selection of wines, bubbles and non-alcoholic beverages. 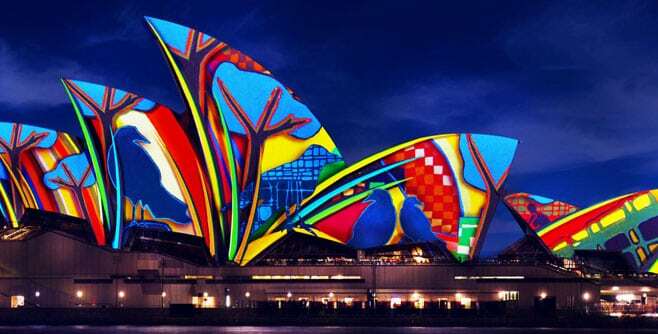 The VIVID cruise tour gives you a chance to see the pinnacle of the VIVID light show, the Opera House with its transforming light sails along with a view of the city skyline which will also be part of the VIVD show. 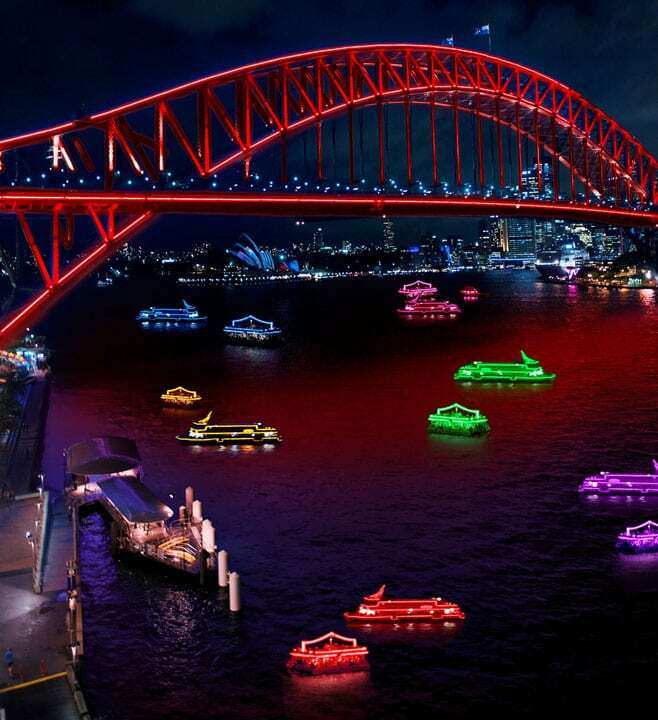 The vessel will then cruise the harbour so you can take in many of Sydney’s other iconic sights such as Luna Park and the Sydney Harbour Bridge, dropping you back to Darling Harbour. 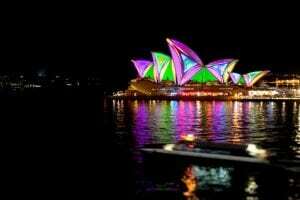 Make dinner in Sydney a special one for loved ones, family or visitors looking for something a little different to experience in Sydney.